Like any great product, first impressions and a hassle-free setup is critical to a positive first experience. 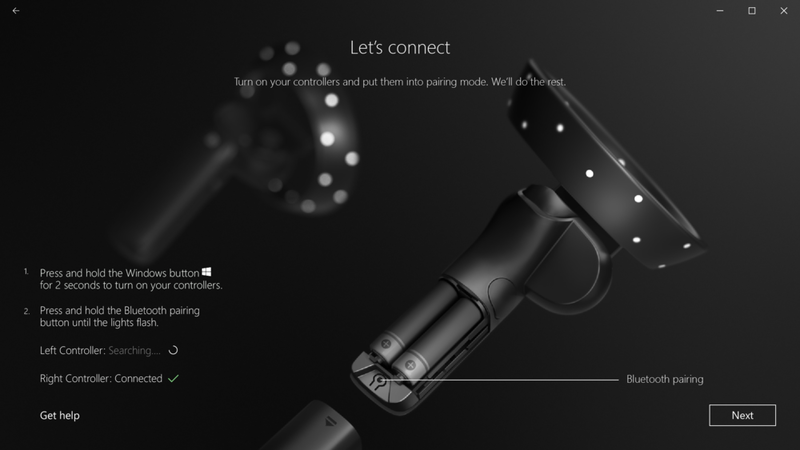 When users are introduced to set up their devices for the first time, they use the Mixed Reality Portal, a native UWP app, that guides users to successfully set up and calibrate their new devices before jumping into Windows Mixed Reality. Over the course of several months, the team set out on a mission to improve upon a previous design that regularly saw high failure rates and sublime visual experience. First Experience is made up of several distinct steps: pc check, device setup, and desktop setup. As you can see below, there is a smooth color transition throughout the onboarding process. 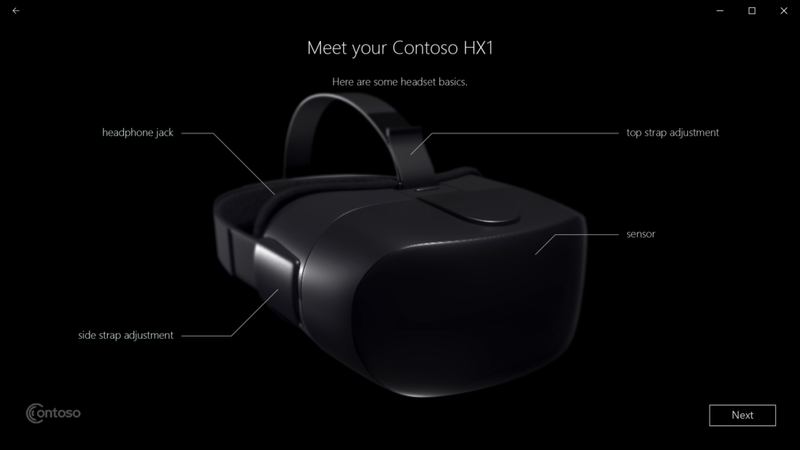 This visual motif has multiple meanings: it signifies the transition from night to day; cool to warm; dull to visually exciting; and symbolizes the transition of being present to being immersed into the magical experience of mixed reality. 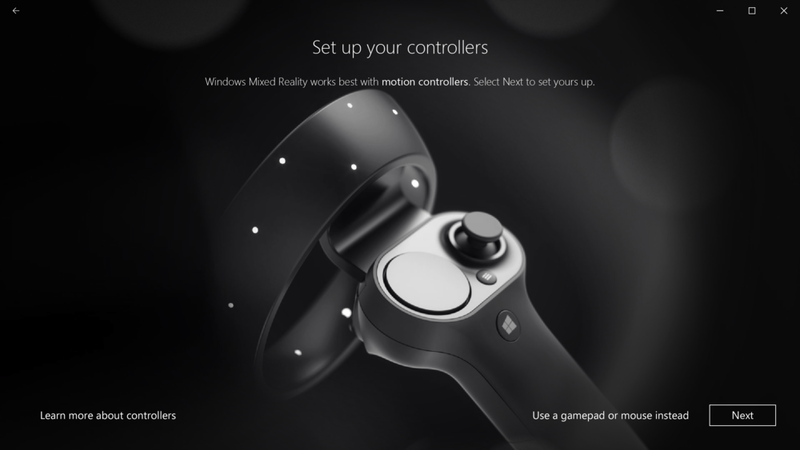 Starting with a welcome screen and TOS agreement, users run a compatibility test to ensure their computers are capable of running Windows Mixed Reality. Original Equipment Manufacturers' (OEM) pages are mostly a neutral color of black and to compliment beautiful renders of any device, regardless of color and style of the devices. OEMs were also provided detailed design guidelines to ensure design consistency with showcasing devices, labeling, and layout. The original design employed a generic 3D perspective to instruct users through the setup process. 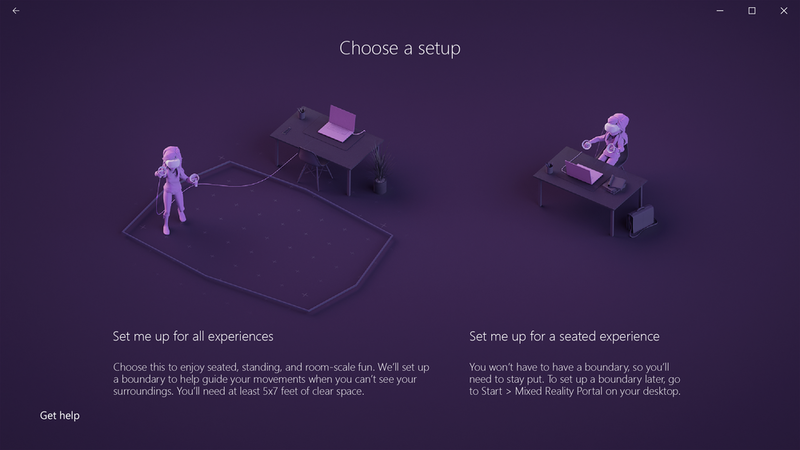 By switching to an isometric viewpoint, we were able to better demonstrate to users on how they can set up and calibrate their devices in 3D space. 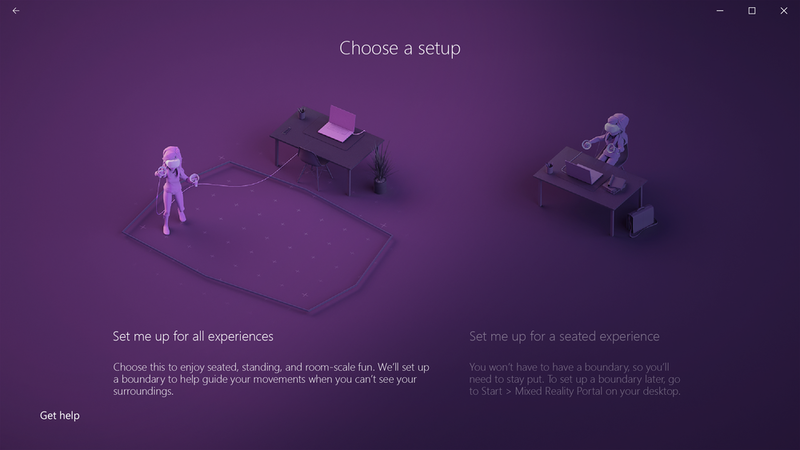 To help guide users' attention through desktop setup, a combination of light animation and subtle 'spotlight effect' highlights areas of importance during each step. 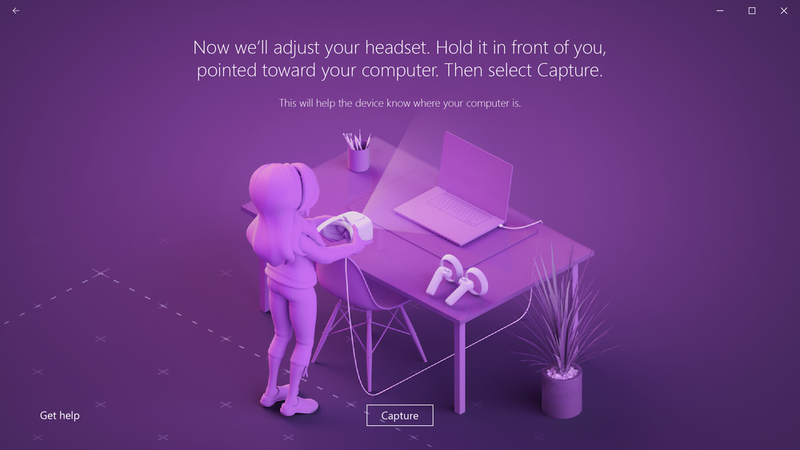 At the end of desktop setup, users are introduced to a colorful 3D landscape where users try on their headsets for the first time for adjustments.